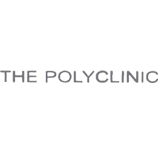 " TO PROVIDE THE HIGHEST QUALITY PATIENT CARE IN A SAFETY AND FRIENDLY SERVICE TO ALL MANKIND"
The Polyclinic has been established since 1976 and still up to the present continuously providing healthcare services to all. It is equipped with laboratory, x-ray and ultrasound, an Endoscopy room for Endoscopic procedures such as Gastroscopy, Colonoscopy, Sigmoidoscopy and Proctoscopy. Dr. Nayal also does Endoscopic Polypectomy, Infrared Coagulation Therapy, Anodyne Therapy for pain management and peripheral circulation and Magnetic Field Therapy an alternative to medicine. The clinic has a Cardiology room equipped with high technological Cardio-stress and ECG machine. The Polyclinic offers other specialities such Obstetrics and Gynecology, Pediatrics and Orthopaedic. Moreover, The Polyclinic offers special packages for Endoscopic procedures, Executive medical check up and Diving medical examination.